After a six-year break, Swedish melodic metal masters LION'S SHARE have returned with their finest effort to date, "Emotional Coma". The revamped outfit, which now features singer Patrik Johansson (ASTRAL DOORS, WUTHERING HEIGHTS) and bassist Sampo Axelsson (GLENN HUGHES) alongside band mastermind Lars Chriss (guitar) and session/non-touring drummer Richard Evensand (ex-CHIMAIRA, SOILWORK, THERION), continues to produce modern sounding heavy metal that revolves around Chriss' thick, power-packed riffs while showcasing Johansson's hauntingly melodic delivery. Songtitles such as "Cult Of Denial ", "Toxication Rave", "Bloodstained Soil" and "The Arsonist" pull few punches, highlighting the band's heavier, more aggressive approach without sacrificing the traditional elements which made their earlier efforts such cult favorites. Explains Chriss: "The philosophy of the band is to write great songs from the heart that we are proud of no matter what trends are happening around us. The new album is more uptempo, energic and to the point. Gone are the keyboards, big background vocals, and the progressive stuff." A member of LION'S SHARE since 2003, Patrik has achieved tremendous success in recent years with bands like ASTRAL DOORS and WUTHERING HEIGHTS. His consistently powerful execution has already established him as one of the most acclaimed up-and-coming singers in the hard rock and heavy metal genres, in the process drawing comparisons to such classic frontmen as Ronnie James Dio and Tony Martin. 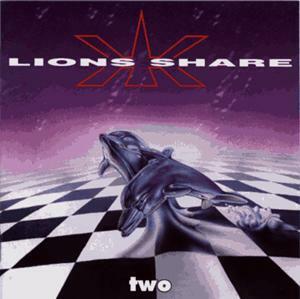 Starting with their debut in 1995, LION'S SHARE went on to land a worldwide record contract with Century Media and release "Two", which was hailed as a melodic metal masterpiece. The CD was promoted by a European tour with metal legends SAXON and a follow-up trek with ICED EARTH and NEVERMORE and more dates with SAXON. In 1998 a tour with U.D.O. and additional club gigs in Sweden took place. 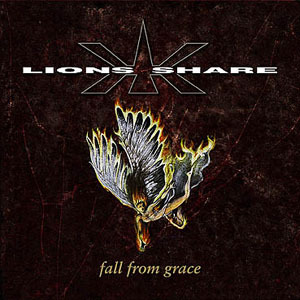 With the 1999 album "Fall From Grace", LION'S SHARE streamlined its sound towards a tighter, heavier sound without losing any of its melodic sensibility. An appearance at the 1999 Sweden Rock Festival with bands like SCORPIONS, DEEP PURPLE and MANOWAR was followed by a Scandinavian tour with DIO, MANOWAR and MOTÖRHEAD. 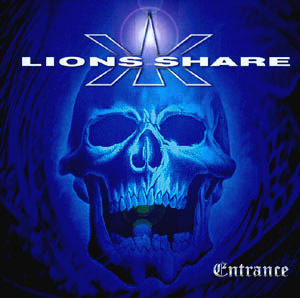 The "Entrance" album came out in 2001 on Massacre Records and was supported by a number of headlining shows and yet another appearance at the Sweden Rock Festival. 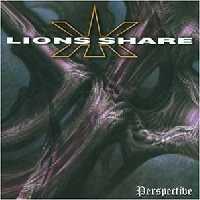 After four successful releases, LION'S SHARE is ready to make its strongest impact to date with what is undoubtedly the most focused effort of the band's career. Stars like KISS' Bruce Kulick, Glen Drover of MEGADETH and Mats Levén (YNGWIE MALMSTEEN, THERION) have given the band their stamp of approval by making guest appearances on "Emotional Coma". 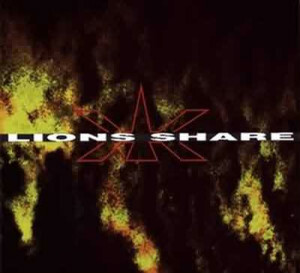 Look for LION'S SHARE to hit the road later in the year, with several dates already scheduled, including an appearance at this year's Sweden Rock Festival.